There’s good news if you – or someone you know – has Type 2 diabetes. That’s because a scientific study found that taking a soak in an inflatable hot tub can help control your diabetes. The research team, led by Dr. Philip Hooper from the McKee Medical Center in Loveland, Colorado, worked with a group of patients who have Type 2 diabetes. The participants were instructed to cut out all exercise and sit in a hot tub for 30 minutes a day, 6 days a week for three weeks instead. “As the study progressed, they reported improved sleep and an increased general sense of well-being,” Dr Hooper wrote in The New England Journal of Medicine. By the end of the study, the patients had lost an average of 3.75 lbs. They had also lowered their blood sugar and glucose levels from 182 mg/dl to 159 mg/dl. This is equivalent to what they would have experienced through regular exercise. What’s especially telling about those results, is that many people who have Type 2 diabetes are unable to exercise regularly. So learning that time spent in a hot tub has the same benefits is a real plus. According to the American Diabetes Association, over 29 million Americans have diabetes, with around 2 million new people being diagnosed every year. 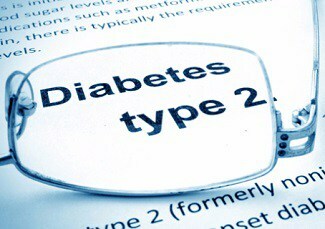 Type 2 diabetes is the most common form, accounting for 90% of cases. Type 2 diabetes is a common condition that causes glucose levels in the blood to become too high. It’s caused by problems with a chemical in the body called insulin, a hormone that regulates the movement of sugar into your cells. With Type 2 Diabetes, your body either resists the effects of insulin, or it doesn’t produce enough insulin to maintain a normal glucose level. Currently, there is no cure for Type 2 diabetes. Instead those who have it learn to manage the condition through healthy eating, regular exercise, medication if it’s prescribed, and monitoring their blood sugar levels. The news that soaking in a hot tub is also a management technique has come as fantastic news – especially, as we noted, for those who struggle to keep up with regular exercise. How Does Soaking In An Inflatable Hot Tub Help With Type 2 Diabetes? The key to why soaking in your inflatable hot tub can help control the symptoms of Type 2 diabetes lies in the heat of the water. Experts believe the successful results of the study are due to the hot water pumping action of a hot tub. As the hot water boosts your core temperature, so your body activates its natural cooling mechanisms. The blood vessels near your skin increase in size, in order to release some of the extra heat you’ve absorbed. 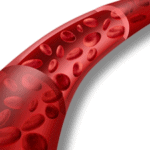 Your blood pumps faster through your body, as well, resulting in more nutrient-rich blood reaching your muscles. Before you go and get into your inflatable hot tub, however, in order to help with your Type 2 diabetes, it is vital that you check with your doctor first. Are There Any Risks In Using An Inflatable Hot Tub To Help With Type 2 Diabetes? Of course, it’s important to take care when using an inflatable hot tub to deal with any medical condition. This is certainly true of anyone who has Type 2 diabetes who uses their portable hot tub. One effect of having Type 2 diabetes is that people can loss feeling in their feet. This is because diabetes can cause nerve damage, leaving your feet less sensitive to hot or cold temperatures. This means that stepping into water that is far too hot could scald you, and cause scalding or burns to your feet before you feel a thing. To prevent this from occurring, medical experts state that it is important to keep the water temperature at 105F or lower. Fortunately, the industry-wide highest temperature for inflatable hot tubs is 104F, lower than that maximum temperature. To be sure, though, we recommend that your always check the temperature on the digital control panel of your heater unit. 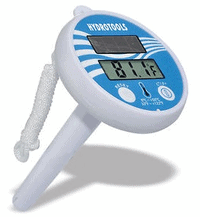 For peace of mind, and to be doubly-sure, you can get hold of a floating hot tub thermometer for around $10 from sites such as Walmart or Amazon. If you take insulin as part of your management of Type 2 diabetes, then using an inflatable hot tub poses some special challenges. If you wear an insulin pump, you’ll probably need to remove it before entering. Therefore, you must check with your doctor before you start using a hot tub, to see how long you can safely go without it. The other challenge is that heat can increase the rate at which your body absorbs insulin. What this means is that if you take a dose of insulin before you get into a hot tub, it may not last as long as usual. This could lead to low blood glucose levels. Therefore, it’s best to use your portable spa either before you take your insulin or some time after you have taken it. This will ensure that your blood sugar doesn’t plummet unexpectedly. Always check your blood glucose more frequently than usual in and around hot tub time. It’s important for anyone to stay hydrated when they use an inflatable hot tub. For anyone with Type 2 diabetes, staying hydrated is even more important. That’s because not only does it help keep your core temperature in check, it also helps keeps your blood glucose steady. Hot tubs can provide a great treatment for people who have Type 2 diabetes, if used on a regular basis. However, it’s vital that you check with a doctor before you start using an inflatable hot tub. Please also remember the potential risks of skin injuries and a drop in your insulin levels. Monitor both of these frequently, so that you stay safe, well, and you benefit fully from the many benefits an inflatable hot tub can bring you. Thanks for reading!